KRASNAYA POLYANA, Russia (AP) — Thailand only has two Olympians — and one's getting most of the attention because she's also a pop star at home. 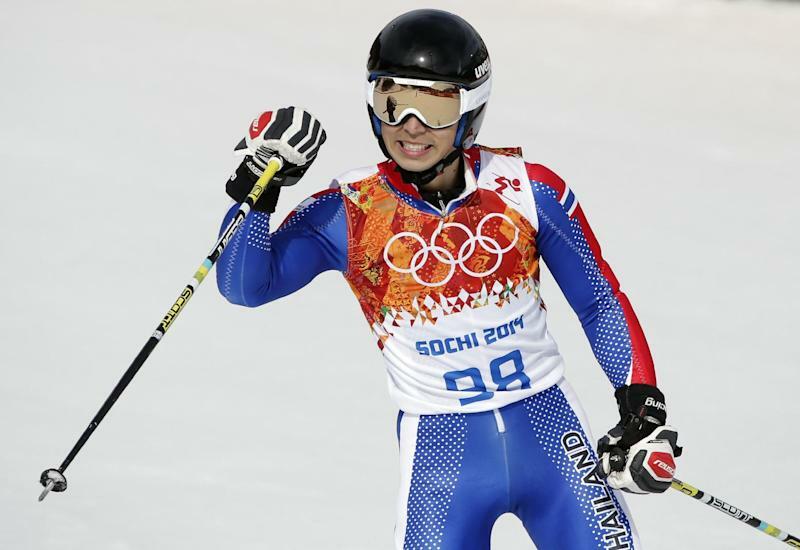 The country's other Olympian is Kanes Sucharitakul, an Alpine skier who was Thailand's flag-bearer at the opening ceremony and finished 65th in the giant slalom. His teammate, Vanessa-Mae, is a platinum-selling pop violinist who lives in England and was born to a Thai father. She's sold 10 million records worldwide. Sucharitakul's focus at the Olympics has been skiing. When asked about anti-government protests in his home country that have turned deadly, he said: "I get the news mostly from my family but I would really rather not comment on that."